Neil’s clients say that it is his approachable and empathetic nature that makes them feel at ease when trusting him with their Financial Future. Neil’s proven track record at claim time see’s clients thankful for his advice and support, at what is often a very difficult time in their life. Neil has worked in the Insurance Industry since 1990, starting his career with National Mutual (AXA) on a graduate program, fast-tracking his progression through a number of different industry roles. Neil became an Adviser in 1997 and although he provides advice on all aspects of financial planning his specialty and passion lies in Personal and Business Insurance. Specialising in risk strategies and insurance has allowed Neil to gain an in-depth understanding of the definitions, details and many nuances of this important section of financial planning. For Neil, as much as the right products are important, it is the long term client relationships formed that Neil values most and he understands the trust people put in him to protect themselves and their family. When a client contacts him with news of disaster Neil knows the right strategies are in place to help them in their time of need, and importantly, he knows how to get claims paid. Neil and Ange, married in October 2016, living locally with Neil’s two adult children as they complete University studies. Neil enjoys playing touch football, golf anywhere and guitar with friends and family. 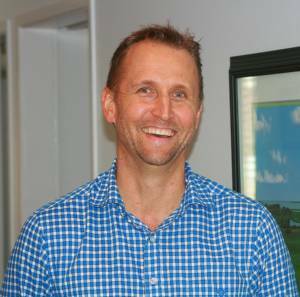 As an avid sports fan, Neil enjoys watching all live sport and is a regular at Brisbane Lions home games.